yes, essie is still my favorite brand of nail polish. i’m just obsessed with their colors and they work so good on me as they don’t chip easily. when i’m around that area i always check out a little market on hardenbergplatz in berlin where a lovely lady sells them for only 4€ a bottle…amazing. yesterday i went because primark is really close to it and i went their to spend my money, i know its bad. 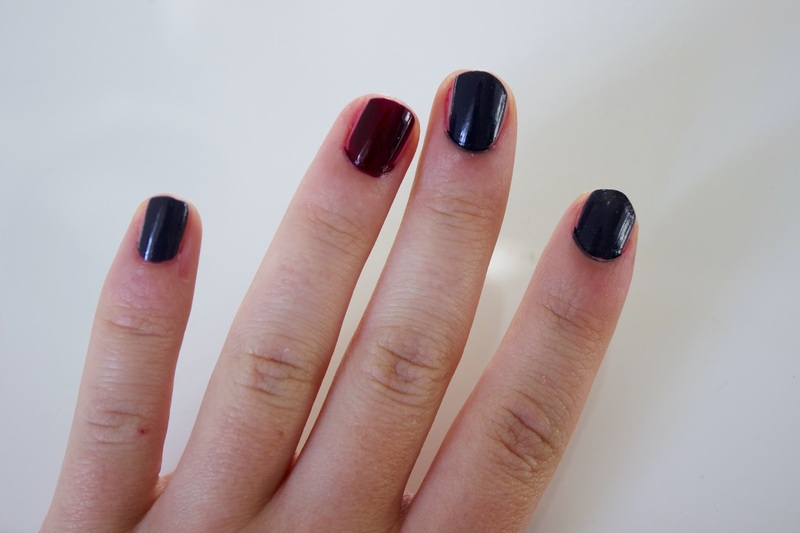 both colors are perfect for fall and i felt like showing them to you. sole mate is one of those shades that a lot of people pull out in fall and i heard many people talk about it the last days. its a burgundy, purple toned deep red and yes, it is perfect for fall. it makes the nails look lovely and just very elegant if that makes any sense. the other one is a shade that i’ve never seen before and it is bobbing for baubles. a very dark grey blue which i imagine to look great with a matte top coat. i don’t have any color like it in my collection and i really, really love it. 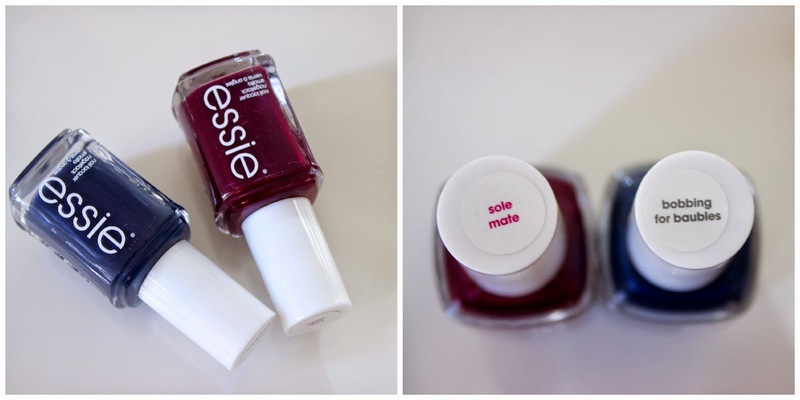 have you tried any of those colors before and do you love essie as much as i do? please let me know. i love you. Welcome to Elena Isabelle; A personal Blog about everything I am passionate about from Fashion to Beauty and a little bit of Interior and other Lifestyle Topics thrown in the mix. I hope you will enjoy your stay and lets get browsing!